According to the State Environmental Protection Department, Sanya’s air pollution index is 29 and its air quality the best in China, which, because many cities in northern China are experiencing heavy fog due to the air pollution, is making Sanya an even more popular destination this winter. Sanya travel agencies are offering many tour packages which emphasize the great air quality without increasing the prices. The number of tourists from areas of Northwest and Northeast China, Sichuan and Chongqing has risen by around 20% to 22%. Besides, many tourists are choosing a new type of getaway, one primarily aimed at escaping the bitterly cold weather and bad air quality in much of northern China, by renting an apartment and living in Sanya for a few months. It can not only save on the costs of the vacation but allow the tourists to fully enjoy the beautiful scenery and local culture. 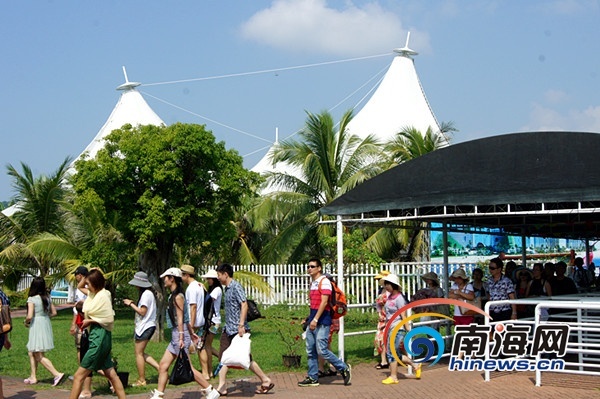 This winter, the daily number of visitors to Sanya’s scenic spots has increased by around 1,000 to 13,000, of which most are individual travelers.